After the mayhem reported last year, Amur Falcons have been safe in India so far this year, thanks to the determined efforts by the Government of Nagaland and the conservation fraternity. In 2012, the killing of around 120,000 Amur Falcons over a one week period in the State of Nagaland raised alarm across India. The bird stops over in Nagaland for a brief refueling halt during its long migration flight. However, the catastrophe may not be repeating itself this year largely due to the efforts of the Forest Department, NGOs and local communities. The Amur Falcon Falco amurensis is a small raptor in the falcon family that is an exceptional long distance flyer. It breeds in north-east Asia (China, North Korea and Russia) and in winter migrates to south-east Africa, undertaking one of the longest over-sea flights known for a bird of prey (of over 4000 km). The total distance covered during migration is 22,000 km, among the longest migrations recorded. Amur Falcons on migration stop over for a few weeks in north-eastern India, concentrating in the Wokha district of Nagaland, resting and feeding on insects to prepare for the next leg of their long journey. At such times the State may host a very large percentage of the global population for a few days during this time. This gathering of falcons is a significant and spectacular natural phenomenon, much like the arribada of the nesting Olive Ridley Sea-turtles in Orissa. Conservation India and Nagaland Wildlife & Biodiversity Conservation Trust (NWBCT), the NGOs who discovered and documented the Amur Falcon massacre in October 2012 have been working closely with the Nagaland Government, local communities and other NGOs to stop the killings this year. 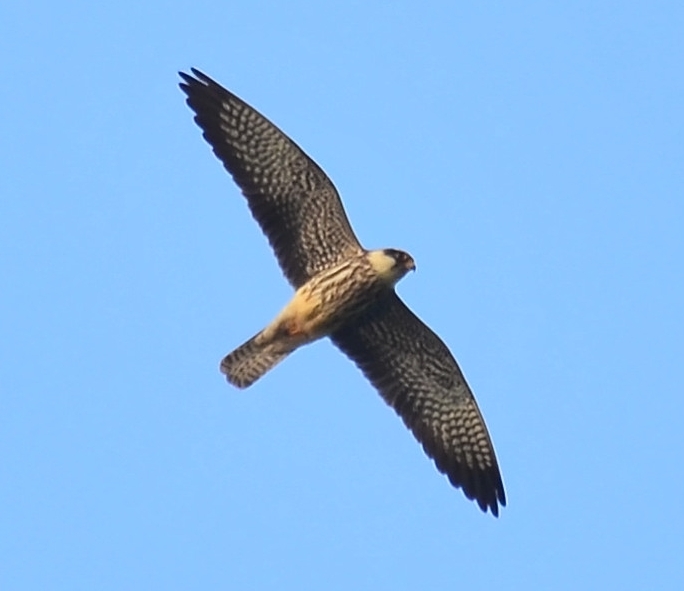 They reported, “The migrating falcons spend the day on the transmission wires (almost entirely inaccessible to hunters) and descend to forested patches along the banks of the Doyang reservoir to roost. The hunters ruthlessly exploit this particular roosting behaviour and set-up huge fishing nets (30-40m long, 10-12m tall) all over the roosting sites”. Mr Ravi Singh, Secretary General & CEO of WWF-India adds, “The Amur Falcon migrates through Nagaland or aggregates in such huge numbers only during its winter migration. It uses a different route during the spring migration. Thus a short period of two weeks or so, in October-November, spent in Nagaland has become the greatest threat to the species. It is true that the species still exists in large numbers and is not considered threatened, but recurring large-scale removal of individuals can diminish the largest of populations. The fate of the Passenger pigeon of the U.S.A (extinct in 1896) is a grim reminder that the largest of bird populations cannot sustain mass-scale hunting”. 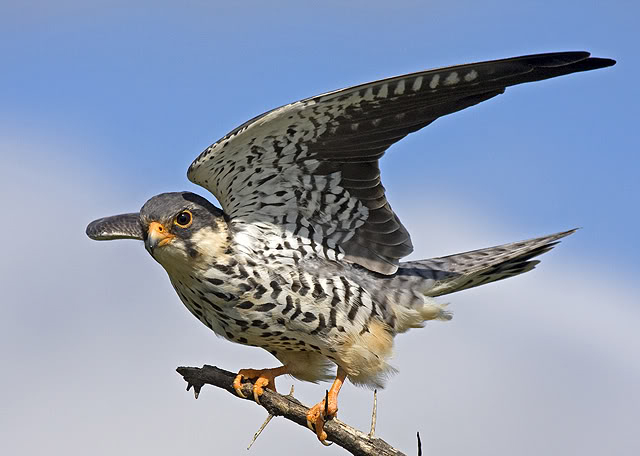 “India being a signatory to the Convention on the Conservation of Migratory Species of Wild Animals, has a moral responsibility to protect the Amur Falcon from the large-scale destruction threatening to endanger the species” he further added. 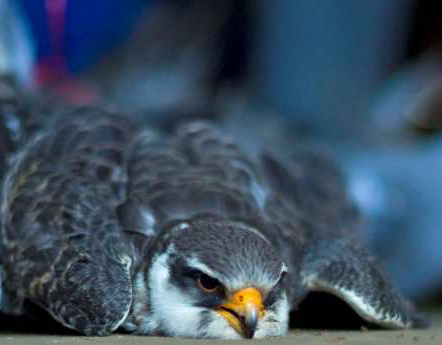 Dr Shekhar Kumar Niraj, Head of TRAFFIC in India further commented, “Amur Falcons have arrived in India again this October and so far no birds are reported to have been killed in Nagaland. TRAFFIC is elated to see the efforts undertaken by the Forest Department and the support it has received from NGOs and local communities to stop the annual hunting becoming a conservation crisis. It is a great example of what determined government action can achieve for conservation”. Mr Vikhweno Meratsu, Under Secretary to the Government of Nagaland said, “The forest officials along with other enforcement agencies like the Police and District Administration have set up committees in all the districts where the Amur Falcon passes through and is working round the clock to prevent any untoward activity that may disturb and threaten these beautiful birds. Awareness campaigns are being undertaken to make the communities understand the role of these birds in agriculture and the environment. 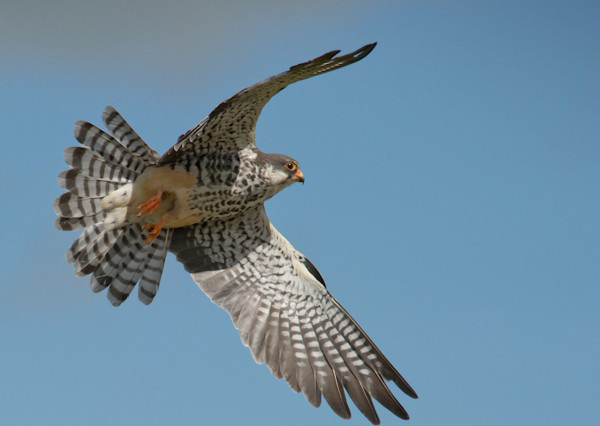 The village authorities have also been encouraged to pass resolutions for the conservation of the Amur Falcon with a view to let common people participate in the safe stay and passage of these birds”. Next page Next post: Katrina, Ranbir are dream travel partners!